CooksRecipes has quality, kitchen-tested recipes for sausage casseroles and baked dishes that you can count on for successful deliciousness. 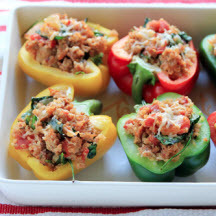 These deliciously hearty stuffed peppers feature a combination of nutritious ingredients, including the super grain quinoa and lean Italian turkey sausage. 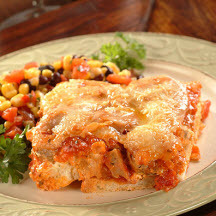 All the flavor of a hot Italian sausage sandwich in a quick and easy casserole that will surprise and satisfy your friends and family. 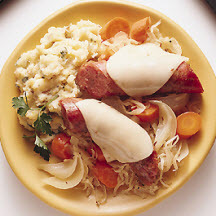 A hearty dish of sauerkraut and smoked sausage served over mashed potatoes. Makes a comforting meal for cool autumn evenings.